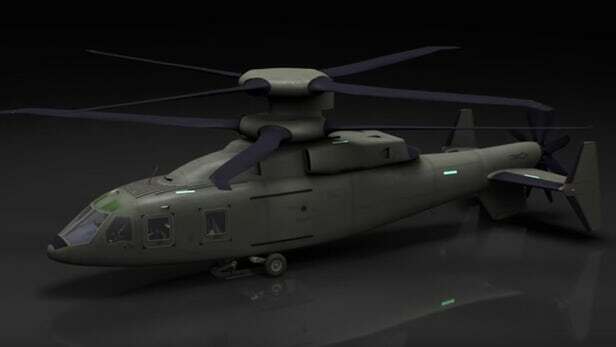 Lockheed Martin gives us a glimpse of future combat helicopters with the release of a new video of its Sikorsky-Boeing Future Vertical Lift concept. The Future Vertical Lift concept is based on a contra-rotating, co-axial rotor system combined with an aft push prop – all powered by an advanced turbine plant. According to Lockheed, this allows the concept to cruise at over 250 knots (288 mph, 464 km/h). The futuristic helicopter comes in Assault and Attack variants. 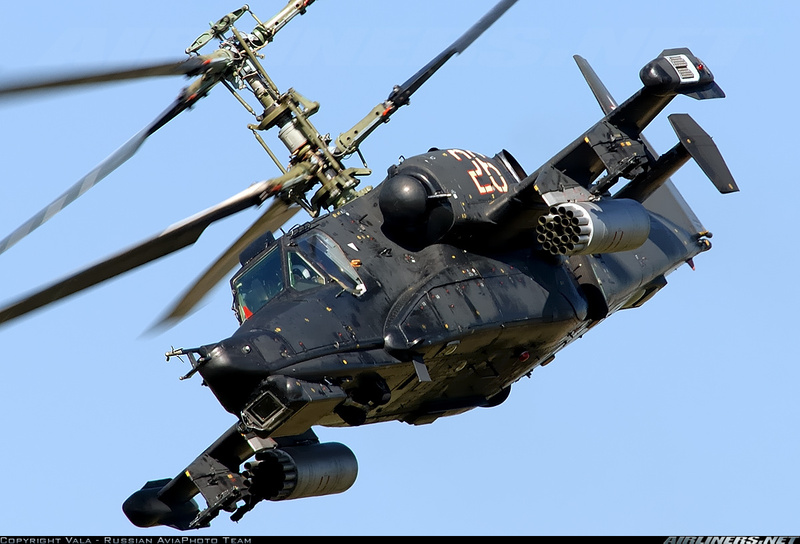 The most well-known mass-produced helicopters utilizing contra-rotating, co-axial rotor system are the Kamov family helicopters, like the KA-50 shown below. But the addition of a pushing propeller in the back will make this helicopter super-fast. Nowadays, greater speed and range are the trends in helicopter design. If the speed can be increased to become comparable to that of planes, helicopters will become very competitive in many commercial areas, replace planes in some areas, and significantly boost military capabilities as well. Most achievements so far are still in the prototype phase (like this Eurocopter X3, which can reach 472 km/h or 293 mph), but this effort looks very promising. Read this article if you want to learn more on this subject. This entry was posted in Amazing technology, data, and people, Past, present, and future, Random, Videos, movies, and films and tagged future fast helicopters. Bookmark the permalink.